Who agrees with me that the home kit for 2015-2016 is a significant improvement on last season’s version? 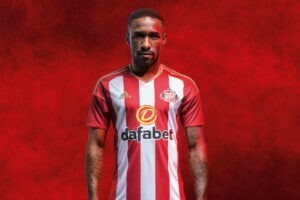 In the photos kindly supplied by SAFC, Jermain Defoe models the new top while Sebastian Larssen was the pin-up a year ago. What is striking about the former is the greater emphasis on red, which makes up for the absence of a clearly visible and complete third red stripe when viewed from the front. Against that, it can be argued that the white background of 2015-16 highlighted both the red stripes and the club badge. 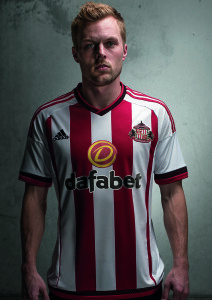 But my instinctive reaction is that at first sight, I like the new strip a lot more than I did last season’s. See above. We can even have a little poll to see if you agree. A really sharp or witty comment might even win a mug. 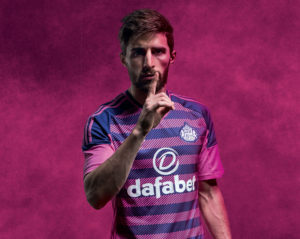 And for good measure, having been pretty unimpressed by our green away strip last season, I love the new “third kit”, worn here by Fabio Borini. Heaven knows when it’ll be worn but I’ve thrown in a question about that, too. In appreciation of Sunderland AFC’s willingness to share the images, which would otherwise by covered by copyright, the least we can do is say you can buy any of the gear at the club’s online store or at the three retail outlets at the Stadium of Light, The Galleries in Washington or Debenhams in The Bridges centre. 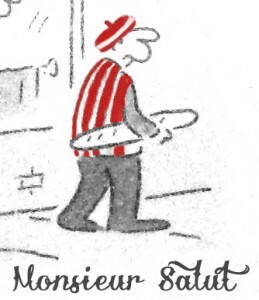 And now we await news on something to replace the unappealing green of last season’s away kit, while also praying a little idealistically in a cold economic environment that Sunderland AFC should always play in red and white stripes unless there is a clear colour clash. The new first kit is preferable to last year’s in my opinion – mainly because there is a lot more red but like many others my preference is for the central stripe to be red. I thought last year’s green kit pretty sickly but the new third kit is even worse. We’ll need it when we play at Dean Court because the change kit will be black. Finally why is it that when I went to vote for like the new kit I couldn’t also vote for don’t like the third kit? I like the idea of an predominantly white strip with a red and black trim. Surely our colours are red with white stripes. This means that the central stripe should always be red. I would also like clubs to register away colours, in our case light blue would be nice. Then the manufacturers can play with the design as they choose, but we would know it was going to be light blue with a touch of some other colour. Then there would be no more shocking green shocks. I like the American Football and Ice Hockey system where one kit has to be predominantly dark and one white (or in Sweden’s case yellow) but it would makes things difficult for teams who play in a hoop or stripe colour/white combination. One of my fav recent kits was the Tombola,,,light blue with a broad white band. Class. Worst ever? Monstrosity we wore against Charlton in play off final.